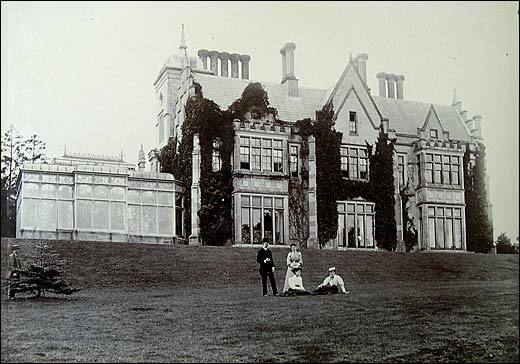 B0090 Sutton Hall, 1897. Frederick, Augusta, and Adela Shenstone (and friend or companion) on terrace beside the house. The façade of Richardson's house survives unchanged amid the additions built by Shenstone c1870.